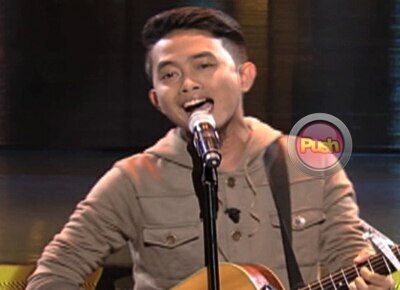 Mic LLave is a guitarist and wants to become a front man that’s why he joined The Voice. Mic LLave is a guitarist and wants to become a front man that’s why he joined The Voice. In some of his gigs, he gets to perform with singer/songwriter Juris Fernandez, who wished him good luck on his audition. He sang “Panalangin” and Coach Lea didn’t need to think twice before she turned for him. Coach Lea was impressed with his happy, effortless and original rendition of the song. Likewise, Coach Apl appreciated Mic’s “bouncy” version of the song.